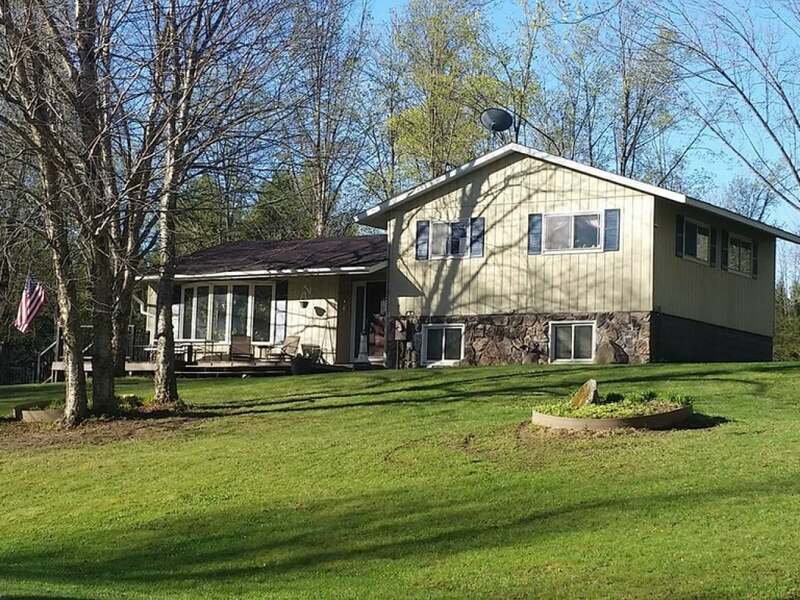 Country comfort in a peaceful, parklike 3 acre setting. This tri-level home is situated in the exclusive Rolling Hills Estates subdivision just 3.5 miles southeast of Antigo. Majestic yellow birch trees grace the expansive front yard while back yard visitors include chipmunks, squirrels, bunnies, deer and over 15 species of birds. Wild flowers abound in 2 acre wooded area which make a nice back drop for the 3 flower beds and 4 rock gardens. The sunny living room leads out to the 12x24 deck. The large country style kitchen has plenty of cupboard & counter top space as well as open concept to the dining area, making it great for any size family. All 3 bedrooms are located on same floor, while the den is located in the lower level with a sliding door to the cement patio allowing easy access to the beautiful back yard.Updates include water line, pressure tank, & carport &apos;18, garage door & deck &apos;15, roof & furnace &apos;11. Great 12x20 work shop in garage w/option to remove making 2 car.